Regarding the undo, would it be feasable to simply keep a log of the user’s brush strokes, then “invert” them for undo? For example; the user drags 2.0 BU to the right, so undo drags those vertices/region to the left. Using a “vertex/mesh region” type of thing, or something? Possibly; user dragged in *this* direction, and *this many* vertices were added – so now we do the opposite? There are some building errors with cmake in win64 pro. Ay chance to check it? Thanks. Please paste the full build log somewhere, I’ll try to fix the errors. Wow, nice to see progress again on Adaptive Topology. Is it only my imagination or does the Topology look a lot cleaner then in previews Versions? I played a bit around with it and it looks like the Smooth Brush is working. 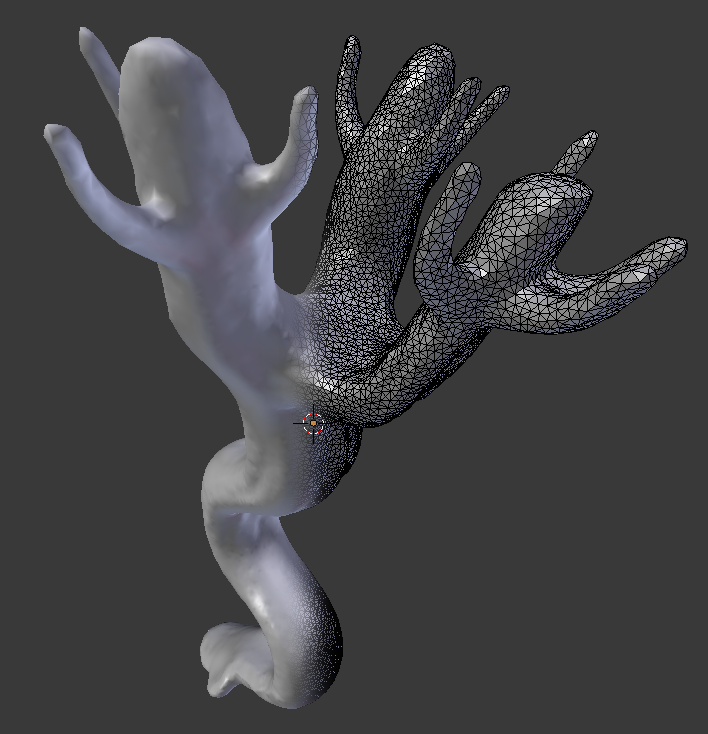 It looks like the 32 bit Build’s don’t work with 64 bit Python libs or the libs at your System are older then the ones on my system..
Multires sculpting does use displacement maps, but that wouldn’t work so well for dynamic topology sculpting. Adaptive tessellation is really a different subject than dynamic topology. Adaptive tessellation is just simplification/subdivision of a base mesh, whereas the dynamic topology sculpting is about changing the base mesh itself. It’s not just a display setting like the multires level; it’s entirely new geometry. Just an idea that came to mind while reading the “undo issue”… Perhaps, after each stroke, save the index/position of each affected original vertex (the ones before the stroke) and the indices of the newly generated vertices (the ones generated after the stroke). When undoing, delete the newly generated vertices, taking the saved indices, and bring back the saved original vertices, the original ones affected by the stroke. This is really an amazing feature. 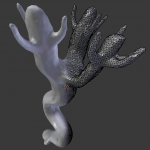 This is why I love Sculptris so much, but if this comes to Blender… wow… just wow. Awesome stuff, hope this gets into release soon!! Here’s the windows build http://graphicall.org/948 (no cuda enabled, but otherwise works pretty good).